Can't get enough of The Bachelor? We can't either! The drama, the deception, the she-said-she-said. The shocking twists! Talking about Colton Underwood's virginity. Again. OK, maybe we've had enough of that. 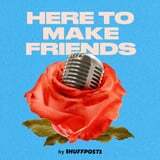 But if Monday nights leave you wanting more, you're going to want to hear about these podcasts that dig deeper into all things Bachelor. Perhaps you (gasp!) missed an episode? From recaps of what happens each week in Underwood's quest to find a woman to spend his life with (go Cassie! ), to commentary, to more commentary, to digs, these are podcasts that are making it easier to get from week to week until we can sit back, relax, pour a giant glass of wine, and catch up on our favorite reality show.